Through the ingenuity, brute force, and determination of a group of volunteers led by Luke Benish, the beginnings of our first on-site nature trail have been established! The high-elevation forests of the Blue Ridge provide habitat for a number of species not found at lower elevations, or anywhere else in the world. Among these unique species is the spruce-fir moss spider. Amid winter’s decaying leaves, forgotten acorns, and the emerging buds of spring, one might also find pens, journals, and watercolors . . . in the capable hands of Lara Call Gastinger, our Featured Speaker for the 45th Annual Spring Mount Rogers Naturalist Rally. What a week loaded with lots of fun both inside and out! The students of Galax Middle School played games, made camp, knapped arrowheads, and caught BIG fish. As a charismatic representative of the high elevations within the central Appalachian Mountains, the northern saw-whet owl (NSWO) is a perfect ambassador to highlight the unique ecology of southwest Virginia’s Blue Ridge. Due to its small size and secretive nature, much of the northern saw-whet owl’s history remains a mystery in Virginia. Blue Ridge Discovery Center is beginning to uncover the secrets of this mysterious creature. Can you help us? If you were to glance at a biodiversity hotspot map of the United States, you would see a striking pop of color stretching across the heart of the Blue Ridge Mountains, with the highest level of diversity right here in our backyard among the three highest peaks of Virginia: Mount Rogers, Whitetop Mountain, and Pine Mountain. 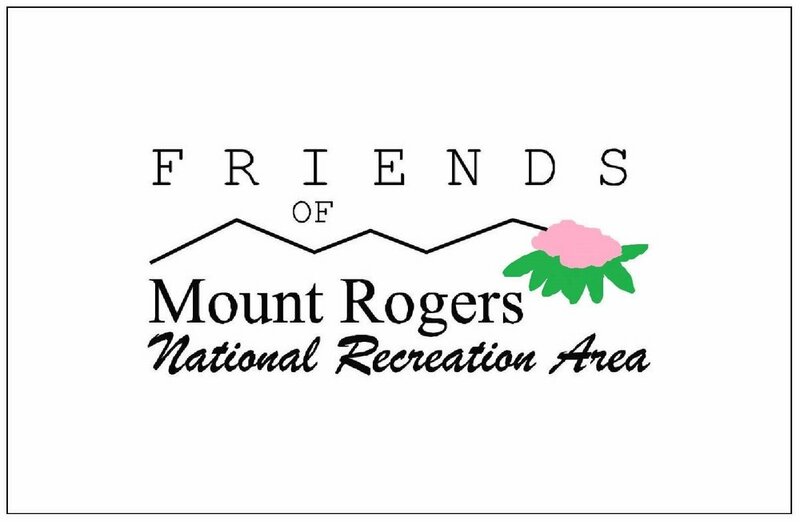 Is it any coincidence, then, that people have been coming to this region for 45 years to take part in the Mount Rogers Naturalist Rally? The cold wind brought a bite to the air while our group huddled on the porch of Mattie’s Place to plan the day of birding in Virginia’s highest valley on February 9th. Members of the group had driven as far away as Boone, NC, to have the opportunity to bird this amazing spot. The combination of open fields, large white oak trees, spring-fed streams, and high sandstone ridges attracts a wonderful assemblage of wintering birds to Burke’s Garden. Because the valley is so inviting to birds, it also attracts birders. BRDC has been leading trips to the valley over the last 8 years and this year 25 folks joined us for the trip. In addition to the usual wintering song birds, the valley usually provides opportunities for wintering waterfowl (including tundra swans) and a broad array of raptors: bald eagles, golden eagles, red-tailed hawks, red-shouldered hawks, American kestrels, the occasional rough-legged hawk, and the potential for several owl species. After loading up in the vehicles, we took our time checking ponds and wetlands for waterfowl. Following the waterfowl search, we paused to take a closer look at two adult bald eagles perched near their nest on a large white oak in the valley. We were able to get some great views with the spotting scopes without disturbing the birds. From there we search the northwestern corner of the valley for golden eagle and other raptors. Along the way we stopped to watch a flock of mallards actively bathing in a small pond and spotted several Wilson’s snipe. These shorebirds are hard to spot while sitting still along the wetland margins that they search for food. Luckily we had some keen eyes in the group who spotted the well-camouflaged species. While walking back to the vehicles, some of the group were able to get a fleeting glimpse of a golden eagle as it soared out of sight. After returning to Mattie’s Place for bowls of homemade chicken noodle soup and sandwiches on freshly-made sourdough, we continued our search of the rest of the valley. As we wound our way around the valley, we spotted many of the typical wintering birds of the area as well as several American kestrels, ravens, red-tailed hawks, Eastern meadowlarks, and we even got a wonderful view of a great-horned owl roosting in a white pine. As the daylight and our energy was waning, we found ourselves drawn back to Mattie’s Place for homemade cream-filled doughnut holes and the softest glazed doughnuts that we’d ever tasted. While climbing out of the valley in the BRDC van, we discussed various theories as to why this valley is so great for winter birding. We all decided that whatever the combination of reasons, the trip is well worth it! 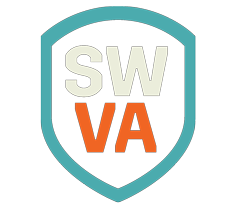 Love Southwest Virginia? Want to learn more about it? The Holston Rivers Chapter Virginia Master Naturalist Basic Training Course begins this Thursday. If you’re ready to connect with the natural history of our region as a Master Naturalist, check out the course details here and register today! If the Blue Ridge could write its own long and complex history, surely it would chisel the words in stone. Fortunately, it did just that. And fortunately, we have a translator in our midst. During our January 2019 Geology Expedition, USGS Geologist Arthur Merschat unraveled the story of the geologic events that left Virginia’s oldest basement rocks exposed for us to access and admire. 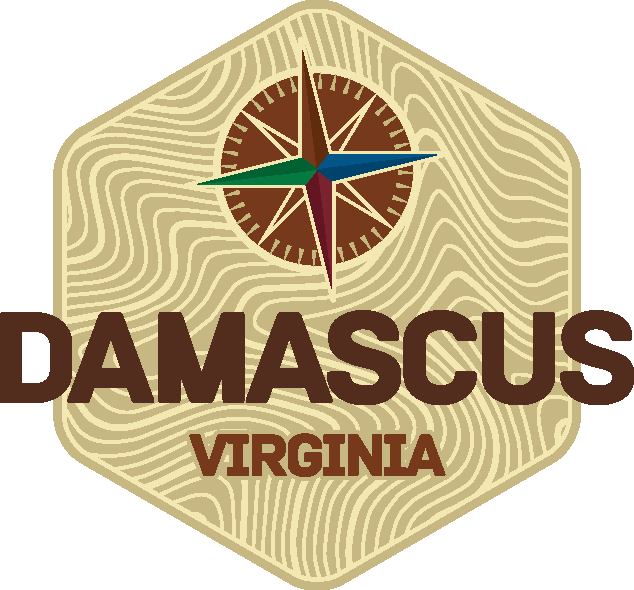 We are excited to be collaborating with Virginia Department of Game and Inland Fisheries’ (DGIF) Habitat Partners© Program to develop natural plant communities on our property at the Center. Through this partnership we will not only be laying the groundwork for Blue Ridge Discovery Center’s interpretative landscape, but also expanding the capacity in southwest Virginia to propagate local genotypes of native plants species for restoration and habitat projects. To effectively propagate the plants, we are partnering with Wood Thrush Natives near Floyd, Virginia. The expertise of Wood Thrush Natives, a native plant nursery which specializes in propagation of local plants, will be critical for our goals to be met quickly. This collaborative project will enable BRDC to have plants available for developing natural plant communities at the Center and for use in our restoration and community habitat projects. Beyond the restoration aspect, our Center landscaping and future projects will be great opportunities for regional educational programs about the value and importance of native plants for wildlife diversity. With BRDC programming and the vision of the Center’s future, interpretive and Watchable Wildlife opportunities will be readily available to the public. With a mission to inspire curiosity, discovery, and stewardship through the wonders of the Blue Ridge, BRDC is ideally suited to provide native botanical education through the development of interpretive plant communities on the property. With these partnerships, BRDC, DGIF and Wood Thrush Nursery will be able to increase public education on the importance of native plants for wildlife and habitat conservation while promoting restoration of natural plant communities. Being in the thick of winter we thought it might be a good time to compile the footage from our New River Expedition last summer, when the days were hot, long, and filled with all sorts of fun! Following the big snowfall last weekend, we are feeling very festive at Blue Ridge Discovery Center! And so, we are inviting elves aged 3-15 to join us for an afternoon of crafts and cocoa at our Nature’s Little Elf Workshop next Thursday, December 20th! After picking an elf name, children will have the opportunity to make suet feeders, ornaments, garlands, animal tracks, and more! We will have hot cocoa, cookies, a toasty fire, and marshmallows on hand, and we certainly encourage all to join us in elf costumes! The price is just $10 per child to cover the cost of materials, and the event is free to members. This open house-style event takes place from 1:00 pm - 4:00 pm in the Blue Ridge Discovery Center cottage at 6402 Whitetop Road in Troutdale, VA. Registration is required and space is limited, so be sure to sign up your elves today! The fun and excitement continues as 246 students in Grayson County competed for prizes at the 3rd Annual BRDC Science Fair! Proud Virginia Wildlife Grant Recipient! We thank VDGIF and WFV for supporting our youth and assisting us in connecting youth to the outdoors! Recently we were gifted a treasure trove of over 500 historic photos of the old Konnarock Training School by Sheila (Blevins) Brown and the Blevins family. The three albums appear to have been compiled over the lifespan of the school, from 1924-1959, with photographs ranging from the construction of the facility to field trips up Whitetop Mountain to yearbook-style portraits. Looking ahead to 2019, Blue Ridge Discovery Center will be launching its Summer Outside Initiative in an effort to connect even more youth to the wonders of the Blue Ridge for an exciting and memorable summer! With technology having such a strong presence in the daily lives of youth in the 21st Century, there has never been a more important time to get outdoors and reconnect with the myriad of benefits provided by this magnificent, natural resource. A Golden-winged Warbler on its breeding territory in Smyth County along the Appalachian Trail. Conner McBane, Natural Resource Specialist with Appalachian Trail Conservancy, after several hours of brushing. During the last week in September, Blue Ridge Discovery Center teamed up with the Appalachian Trail Conservancy, Piedmont Appalachian Trail Hikers, AmeriCorps NCCC, the Quarter Way Inn and the US Forest Service to maintain and enhance golden-winged warbler habitat along the Appalachian Trail in northern Smyth County. The ecologically valuable tract of old field and shrubby habitat is one of the few areas with known breeding golden-winged warblers in the county. These habitat specialists require just the right mix of vegetative structure for a successful breeding season. The old field habitat that is currently found throughout the tract is in various stages of succession. If allowed to progress through succession, much of the area will revert back to forest and the diversity of wildlife that is found within the tract will decline. 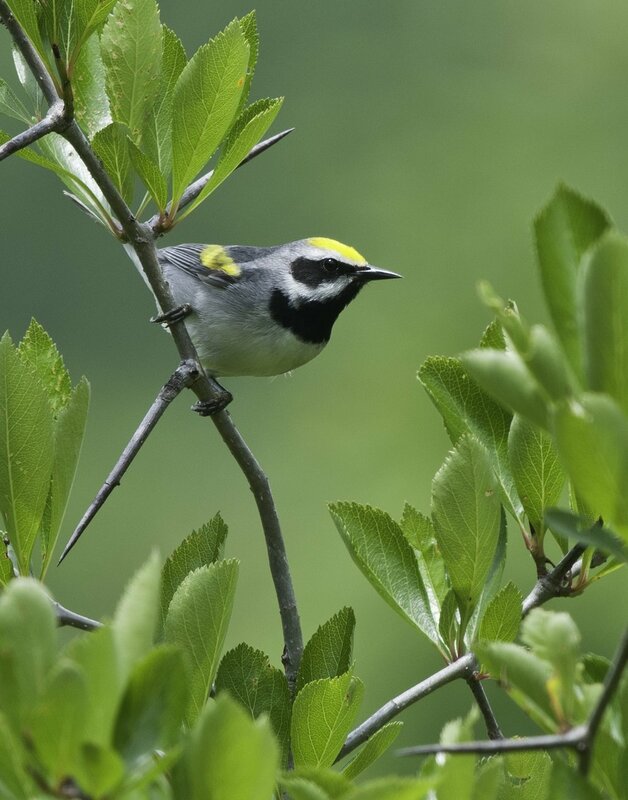 Habitat loss though natural and unnatural means is thought to be one of the leading causes of the drastic decline in golden-winged warbler populations across their range, so maintaining known breeding habitat is critical for the species. While the warblers are headed to Central and South America for the winter, this yearly maintenance of strategic brush hogging and non-native invasive plant control can safely be completed to maintain the correct ratio of structure across the tract. Not all of the work was done with machinery, AmeriCorps NCCC crew members and a few folks form Celanese Corporation provided much of the enthusiasm and energy to tackle the invasive plants across patches of the tract. All of the hard work that was accomplished this fall will assure that the golden-winged warblers will find the habitat that they need when they return to this small corner of Smyth County next spring. AmeriCorps NCCC member removing non-native multiflora rose from the habitat.